Nicholas Viscardi was born Oct. 20, 1920. He was one of the greatest artists the Silver Age had to offer. Artist Bruno Premiani kicked things off with this proto-Titans story. Cardy took it from there. 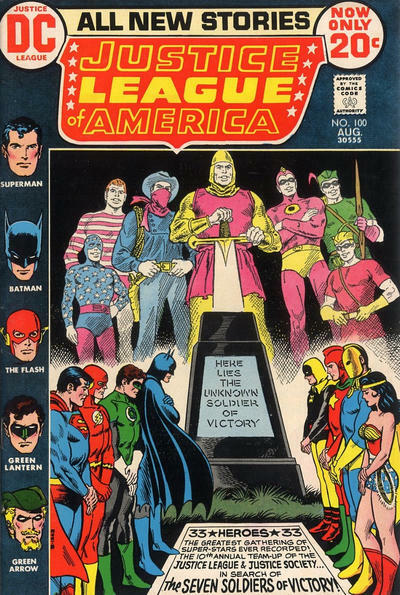 … an homage to a JLA cover! I’m always keen to link the present to the past, so I planned a 13 COVERS feature to mark the release of the book. 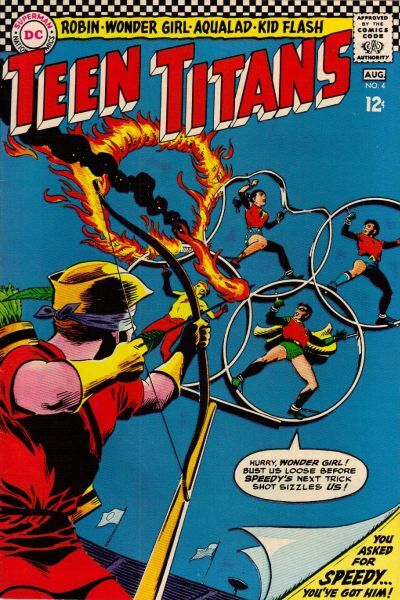 And, naturally, given that Titans Hunt goes back to the group’s earliest days, I figured I’d make the whole thing about Nick Cardy’s work since he had a hand in every cover of the Titans‘ initial 43-issue run, not to mention an issue each of Brave and the Bold and Showcase. 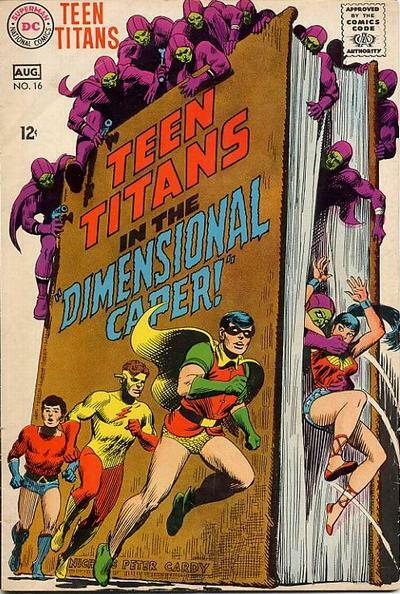 Then, of all things, it turns out it’s also Nick Cardy’s birthday. 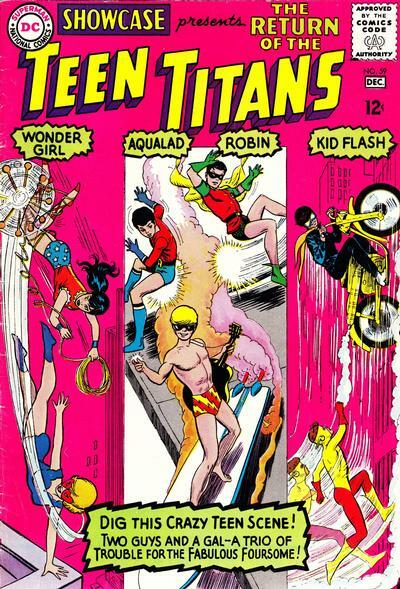 So here we are, with my 13 FAVORITE NICK CARDY TEEN TITANS COVERS. Now, normally, when I do a 13 COVERS salute, I don’t rank the covers or necessarily even deem them my favorites or the greatest. Often it’s more esoteric than that. 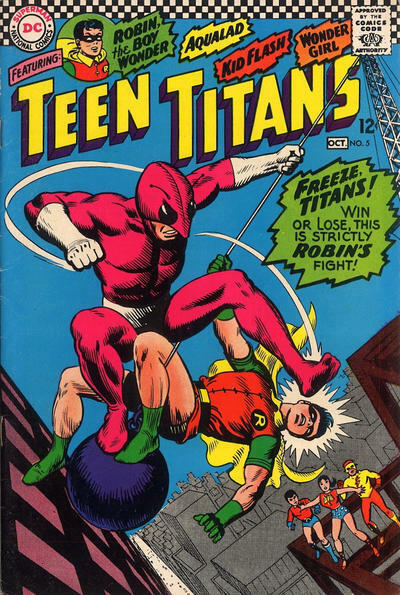 But I’m such a devotee of Nick Cardy’s Teen Titans work, I’m going all in this time. Agree? Disagree? Feel free to comment here or in the social-media thread where you saw this. Even better? Add your own! 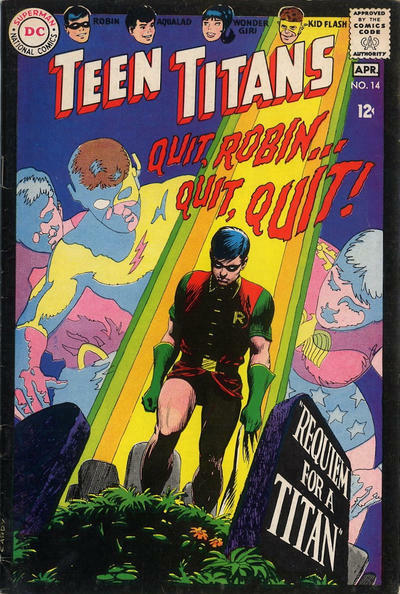 Nick Cardy died in in 2013 at the age of 93. At least we still have his beautiful art. 1. 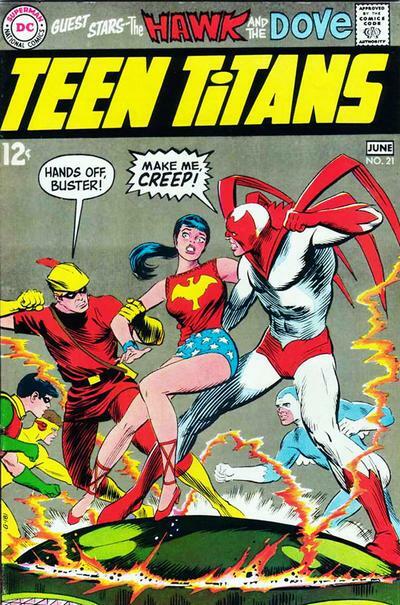 This was the most memorable Cardy Titans cover of my youth. So creepy and dramatic. 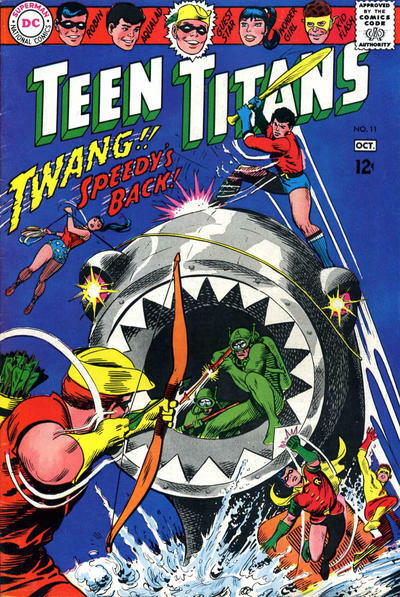 It also signaled a shift from the swinging Silver Age covers toward the more horror-inflected Bronze Age covers. 2. 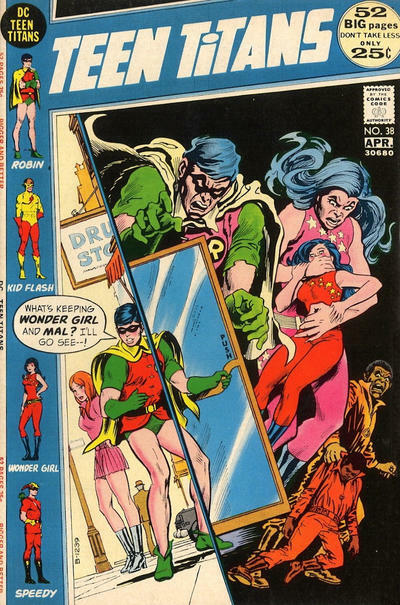 Man, Nick Cardy could draw women. 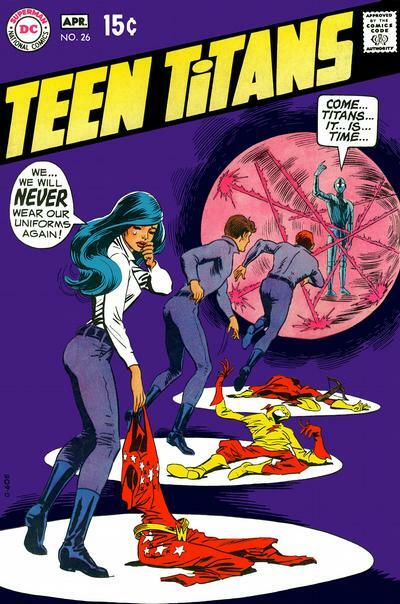 This was once the most sought-after Titans cover. 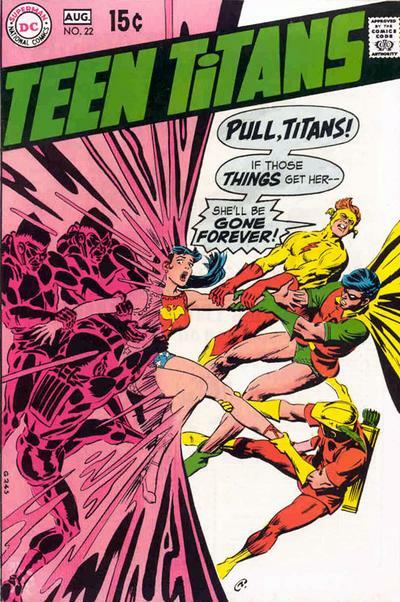 Only George Perez rivaled Cardy’s Wonder Girl. 3. 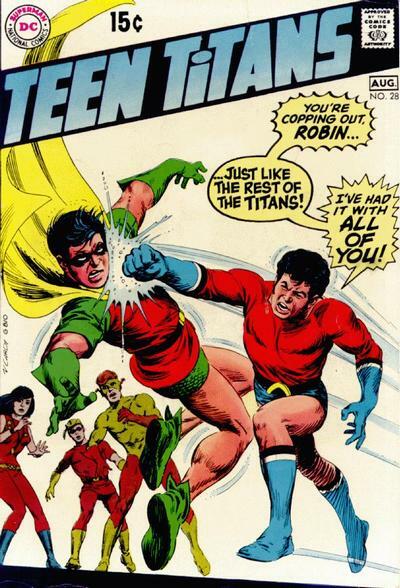 An early indication of Robin’s importance to the Titans. I always thought the Ant had the potential to be a real rival for Robin. Alas. 4. Perhaps the most clever cover on this list. 5. I just love the way this is framed. Really cool. 7. A classic showdown. The best part is that Wonder Girl could kick both their heinies. 8. 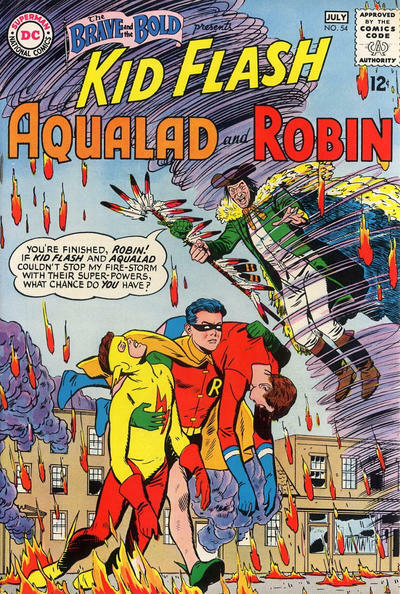 Rarely did Aqualad get this kind of chance to shine. 10. 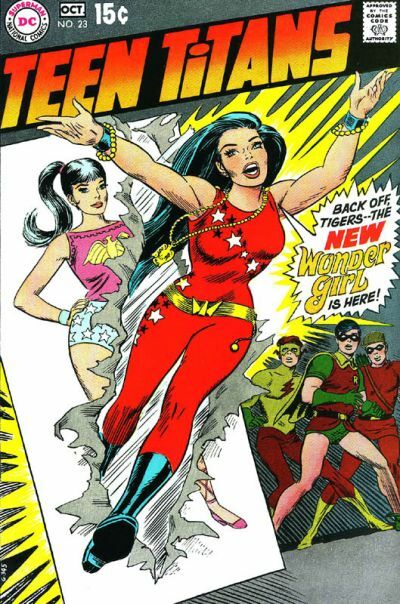 Never liked this storyline but man, Cardy could make Wonder Girl look good in anything. 12. Not as effective as Issue #14 (No. 1, above) but really plays into that Bronze Age Titans horror shtick. 13. So much pink! Love it. i loved Nick’s work especially on the Titans (and Bat Lash). I was lucky enough to get a Titans commission from him. http://www.comicartfans.com/gallerypiece.asp?piece=222855. Talk about layouts that he liked. Read the description to see other pieces that shared the design of mine. 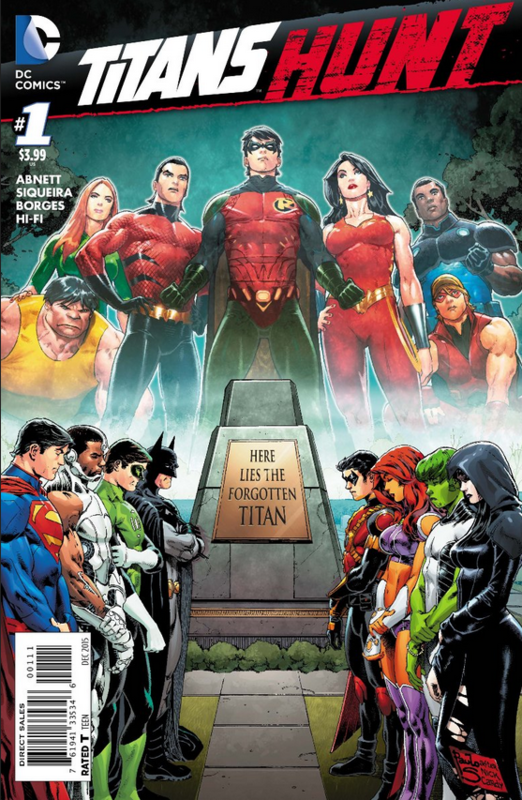 Only Titans covers? Where’s his great Aquamans? Bat Lash? Wow! Cool post. 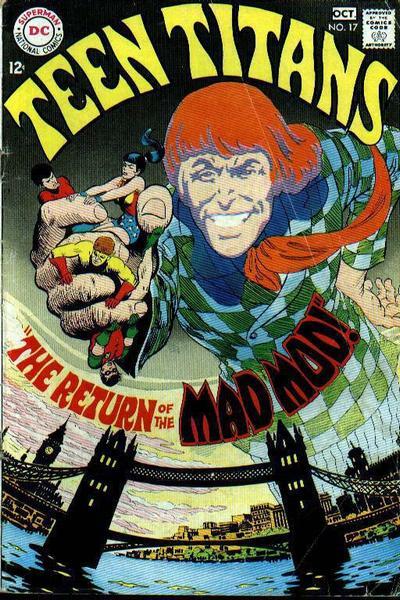 Knew Nick Cardy’s work but I don’t think I REALLY knew his work. And man, he did good work! Big fan now. Thanks.